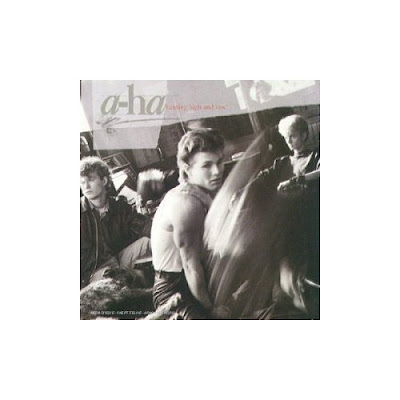 A-Ha is mostly known in the U.S. as one hit wonders for their 1985 mega-hit Take on Me. It's an amazing song, no doubt. Despite having heard that song about a million times, it's still great... Those quick synth notes, melodies and those vocals with notes so high only he could reach. You can especially appreciate it the longer you go between listens. It had that amazing video too. The sad thing is that their entire debut album Hunting High and Low is a classic record that doesn't get the credit it deserves (at least in the US). Many of their later albums also for that matter. Minor Earth, Major Sky is another masterpiece of theirs that didn't come out till 2000 and is much more of a mature, darker record. This first record was much more of a lighter affair with carefully crafted mid tempo and dancey electronic tracks. Great melodies, vocals and hooks that get you singing after only a few listens. A classic synthpop record. There's only 10 tracks and it clocks in at about 30 mins. Don't need anymore than that. Each track is slighly different but they each retain that classic A-Ha romantic style. I can hear this album over and over. A great late night album.